Breathe Owl Breathe, Thrupence, Idiot Wind, Cool Ghouls, the Wooden Sky and more. This show was 1st in the global indie chart, 1st in the global folk chart, 1st in the global alternative chart and 2nd in the global acoustic chart. I try my best to do a new episode every 2nd week… but sometimes I escape the greyness of England for a spell and have to postpone the making of these 1 hour mix tapes. And that&apos;s why EPISODE 46 is one week late. You didn&apos;t notice? Oh. 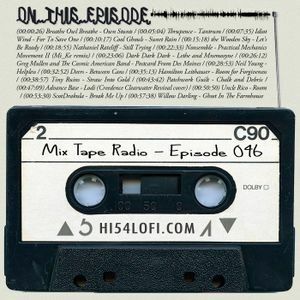 Well in that case, here&apos;s another lovely episode of the Mix Tape Radio show, chock full of ace tunes —from the likes of Thrupence, Neil Young, ScotDrakula, Wooden Sky, Tiny Ruins + a whole bunch more— and right on schedule. great set dude, definitely the best! Thanks for listening… glad you liked it! I expected two this week. i want my money back.